The Nikon 1 V3 mirrorless camera with Nikkor VR 10-30mm f/3.5-5.6 PD-Zoom lens combo got another $100 price drop since my last post in February and is now selling for $499.95 (that's $600 off). Note that this is not a refurbished sale, you will get the full Nikon US warranty. 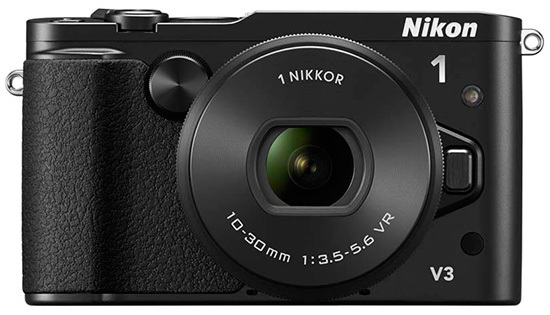 The Nikon 1 V3 is already listed as discontinued at B&H. Refurbished Nikon 1 V3 + 10-30mm f/3.5-5.6 kits are selling for $389 at Amazon. This entry was posted in Deals, Nikon 1 and tagged Nikon 1 V3. Bookmark the permalink. Trackbacks are closed, but you can post a comment.